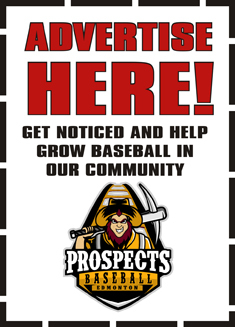 The first draft of the 2019 Edmonton Prospects Roster has just been released! Check it out at 2019 ROSTER. It's going to be an exciting season with many new players from the U.S., Canada and Puerto Rico so far. As we draw closer to the Saturday, May 25 Home Opener, the roster will have a few changes here and there right up to Opening Day. Book your Season Tickets now at SEASON TICKETS. If you just can wait until May 25, support the team and come on out to our 3rd Annual Baseball Gala at the Ft. Edmonton Hangar on February 16. Guest Speakers are Buck Martinez and John Short hosted by Kent Morrison of Global News, Edmonton. Tickets can be purchased online individually or you can get a table for the gang at GALA TICKETS.